Image via Kotel'nikov Institute of Radio-engineering and Electronics The Morse Message The first message broadcast from Earth specifically for extraterrestrial communication was the Morse message sent by the Soviet Union to Venus in November 1962. The USSR aimed its newly completed Evpatoria Planetary Radar at Venus and broadcast a message of just three words in Morse code: “mir,” Lenin,” and “SSSR," the Russian acronym for USSR. The message reached Venus in just over two minutes. Transmitting such a short message with no context in two Earth alphabets toward a planet that wasn't likely to hold advanced life in the first place doesn't sound like the most well thought out plan, but contacting alien life wasn't the message’s only goal. It was also meant as a test of the radar dish and as a symbolic gesture in the Space Race, which was heating up rapidly in 1962. The message reflected off of Venus and is currently on its way toward HD 131336, a star in the Libra constellation. Image via NASA Ames The Pioneer plaque When NASA launched the Pioneer 10 and 11 probes in 1972 and 1973, they knew that they would be the first human-made objects to reach the speed needed to escape the Solar System. The Pioneer plaque was designed in just three weeks by astronomers and alien enthusiasts Frank Drake and Carl Sagan as a message from humanity to any alien race that might chance upon the small machines as they traveled the galaxy. The plaque is a gold-aluminum alloy, nine inches long, six inches high, and just 1/20 inch thick. In the top left is a diagram of the transition of a hydrogen atom's electron that establishes a numerical system for the rest of the plaque’s figures. The man and woman are standing in front of a drawing of Pioneer to help establish their relative size. The man's wave is meant to indicate good will and to show the opposable thumb and how the limbs move. Originally, the man and woman were holding hands, but Sagan worried that aliens might read them as a single organism. The dot and lines show where our Sun is relative to the center of the Milky Way and to 14 pulsars so that a civilization could potentially locate us using them as reference points. The very bottom diagram shows our Solar System and Pioneer’s planned path around Jupiter and out of the Solar System. Though the images on the plaque have become iconic, some criticisms include the Caucasian appearance of the humans depicted, the possible sexual bias of the man waving instead of the woman, and the wave and arrow being human inventions that wouldn't be understood by other races. Image via Wikipedia/Arne Nordmann The Arecibo message In honor of the remodeling of the world's largest radio telescope, the Arecibo Observatory, in 1974, Frank Drake and Carl Sagan collaborated again on a message to send to extraterrestrials. The message they designed consisted of 1,679 digits of binary. When arranged in a 73-by-23 grid (the numbers were chosen because they're? both prime), the message forms this image. The first row (in white) are the numbers one through ten. The green and purple sections are atomic information on DNA and sugars, and the blue waves represent the double helix structure of DNA. That's followed by the image of a man and information on the average male height and the population of the Earth. The yellow row represents our Solar System with Earth slightly raised to indicate where the message was broadcast from and to put it near the image of the man. The final section is a simple drawing of the Arecibo telescope itself. The message was broadcast toward the star cluster M13, but it won't get there for 25,000 years and so we won't receive a reply for at least another 25,000 years. The Arecibo message was instead meant as a demonstration of how far humanity had come technologically, an idea that seems almost quaint now considering the message was made up of just 210 bytes of data. Image via NASA The Voyager Golden Record Launched nearly 6 years after the Pioneer 10 and 11, NASA knew that Voyager 1 and 2 would eventually overtake their predecessors and leave the Solar System first. Inspired by the plaque aboard those probes, NASA appointed a special committee headed by Carl Sagan to choose what would go on two golden vinyl records that would represent humanity as the Voyagers traveled the galaxy. Included on the outside of the record are diagrams explaining how to play it, and the same hydrogen-based key and map to our solar system as seen on the Pioneer plaque. President Jimmy Carter included a written message on the record that described it as “a present from a small, distant world, a token of our sounds, our science, our images, our music, our thoughts, and our feelings.” There are greetings in 55 languages including English, French, Japanese, Cantonese, Punjabi, Latin, Ancient Greek, and more. A “sounds of Earth” section includes natural sounds like volcanoes, wind, rain, birds, and dogs, and artificial sounds like trains, cars, and the sound of a Saturn V rocket launch. There are also 90-minutes of musical selections, including Bach, Chuck Berry, Mozart, Navajo chants, and traditional folk songs from all over the world, and an hour-long recording of the brainwaves of Ann Druyan, science writer and future wife of Carl Sagan. Finally, the record ends with the encoded data of 116 images including mathematical constants and definitions, a map of the Solar System, pictures of each of the planets, diagrams of female and male anatomy, and a wide variety of pictures of life on Earth including a nursing mother, dancers in Bali, the Arecibo radio telescope, the Grand Tetons, an astronaut floating in space, dolphins, a supermarket, the Great Wall of China, and many more. Neither Voyager 1 or 2 is headed toward any particular star, but both probes will eventually pass within a few light-years of different solar systems in 40,000 and 300,000 years, respectively. Images via Active SETI/Yvan Dutil and Stephane Dumas Cosmic Calls 1 and 2 The Cosmical Calls were two sets of messages sent out multiple times in 1999 and 2003 from Evpatoria Planetary Radar to various destinations. The two calls were very similar, with the 2003 version featuring updates to the original's alphabet in order to increase readability. The major portion of each call consisted of the Dutil-Dumas Message (pictured), which included a basic number system and alphabet based on mathematical constants of the universe so that anybody who discovered it could potentially read it. The message included explanations of physics, chemistry, and biology, a simple map of our Solar System, maps of Earth and diagrams of its revolution and resolution, and information on human anatomy, among other topics. The DDM ends with questions for its reader, asking for the same information that humanity provided. Along with the DDM, the Cosmic Calls also broadcast the Arecibo message and a message from the staff of Team Encounter the Texas start-up that funded the calls. The earliest any of the Cosmic Call broadcasts will reach their intended targets is April 2036, meaning we wouldn't receive a response until 2069 at the earliest. Image via Bebo/YouTube A Message From Earth In 2008, the social networking site Bebo held a competition to choose 501 submissions to become the first publicly selected message broadcast into space. Half-a-million users participated in the event, writing messages, submitting images, and drawing pictures for the competition. An open poll selected the 501 most popular submissions, among them personal stories, discussions of world peace, and images of life on Earth including the London Eye, Britain’s Got Talent winners, and pictures of Barack Obama and George Bush that were chosen by Gillian Anderson to represent good and evil. Though the selections were derided by some as naive, simple, and silly, others argued that it wasn’t ever meant to represent humanity as a whole, but was simply a way for Earth's youth to demonstrate how they see the world and themselves. Even if the Message From Earth wasn't as in-depth, complex, or eye-opening as other interstellar transmissions, if an alien race did eventually detect it, they would at least get a glimpse at the species that sent it and know that there was intelligent life here. On October 9, 2008, it took four-and-a-half hours to transmit the message on October 9, 2008 from the Evpatoria Planetary Radar. It will reach its target the planet Gliese 581c, roughly 20 light years away, sometime around 2029 and a reply could reach us as soon as 2049. Image via A Simple Response to an Elemental Message A Simple Response to an Elemental Message A Simple Response to an Elemental Message is an initiative by the European Space Agency, the University of Edinburgh, and the UK Astronomy Technology Centre, among others, to draw attention to the environmental harm humanity is doing to the Earth. The bulk of the transmission consisted of 3,775 responses to the question, “How will our present environmental interactions shape the future?” Submissions ranging from optimistic to despondent to comedic were received from 146 countries. Also included were 70 images including cave paintings, the Earth from space, melting ice caps, a hurricane, and a chart showing steadily increasing global temperatures, among others that emphasized the natural world. Eighty-one “Honorary Mention” quotes from notable figures like Carl Sagan, Yuri Gagarin, Gandhi, and more, were also added to the message, as well as the original Arecibo message. 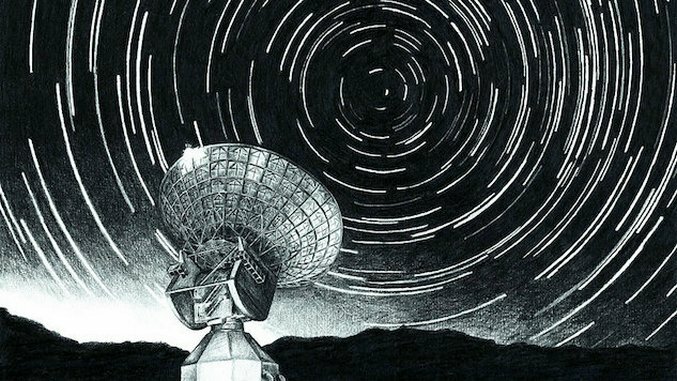 On October 10, 2016, the ESA’s Cebreros station in Spain beamed the message to Polaris, the North Star, 434 light years away. Though the Polaris star system isn’t likely well-suited for life, it was chosen for its symbolic value as a guiding object. It’s unlikely that any alien civilization would be around to detect it, and even if one did it would be nearly 900 years before we would hear back from them, but the initiative’s primary goal is to get people to look at the Earth from a cosmic viewpoint and recognize just how small, fragile, and, possibly, alone we are in the cosmos. Science fiction has a plethora of ideas about what happened in the past and what to expect from the future. Unfortunately, not all of those ideas are exactly plausible in reality. In Suspension of Disbelief, we’ll take a look at the best ideas from sci-fi movies, books, comics and videogames to see where (and if) they intersect with the real world. Aliens exist. It’s pretty much a mathematical certainty that there is non-human life somewhere in the universe. It’s even highly probable that across the billions and billions of years that the universe has been around that one of those species became intelligent and found ways to explore its solar system and galaxy. And yet, despite math telling us that they’re out there, there has never been any evidence found of alien life. Aliens have been coming to Earth in fiction for nearly 2,000 years, and every possible scenario, from friendly to cooperative to destructive to terrifying, has been envisioned, but in real life, we haven’t so much as seen the glint off of some leftovers from an ancient civilization sitting abandoned on a planet thousands of light years away. Still, that doesn’t stop us from trying to contact extraterrestrials. Stephen Hawking, among many others, has advised against doing so, considering what might happen if a technologically-superior species found us, but we still persist in flinging our “messages in a bottle” into the cosmic ocean. Since the probability of these messages ever being discovered is incredibly low and the chances of any of us still being alive when/if a response is ever heard back are even worse, our messages are more often useful as a way of seeing how humanity views itself, or, at least, would like to be viewed. Our messages often see us putting our best foot forward, showing off what we know about the universe, what we’ve done in our relatively short time on Earth, the kinder side of who we are as living beings, and what we value most. Click through the gallery to see seven messages humanity has constructed for an alien race to find. Hailing from upstate New York, Cameron Wade is a freelance writer interested in movies, videogames, comic books and more. You can find his work at protogeektheblog.wordpress.com.